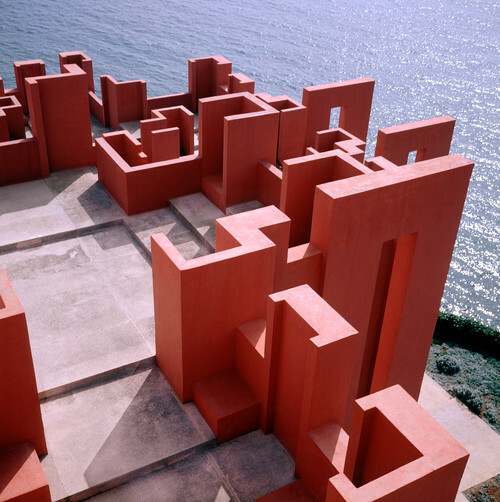 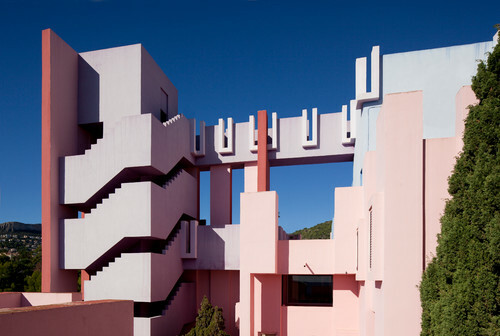 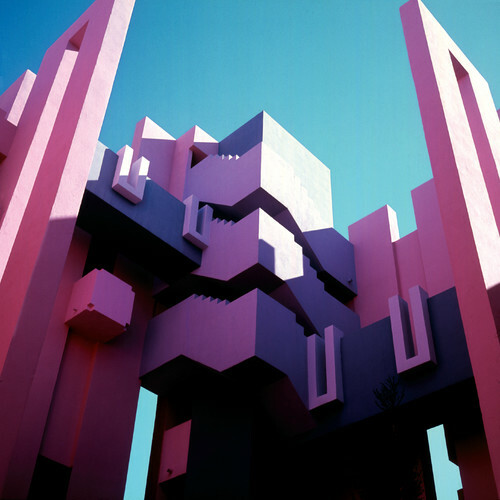 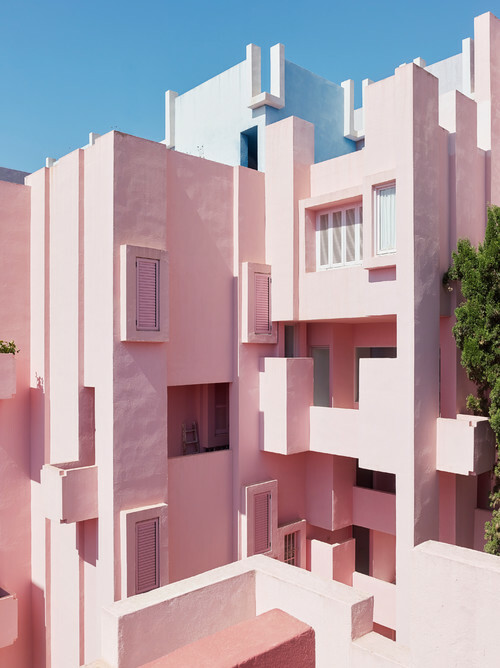 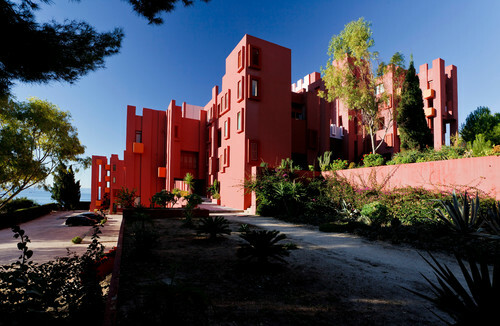 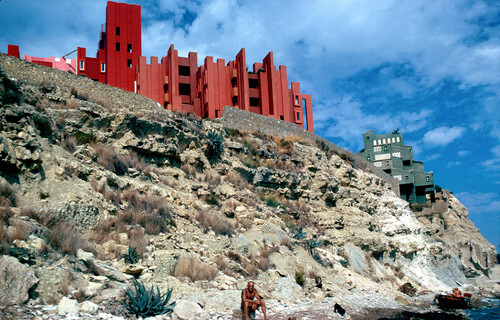 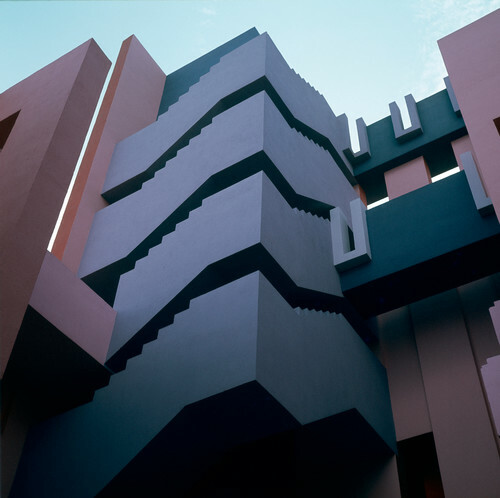 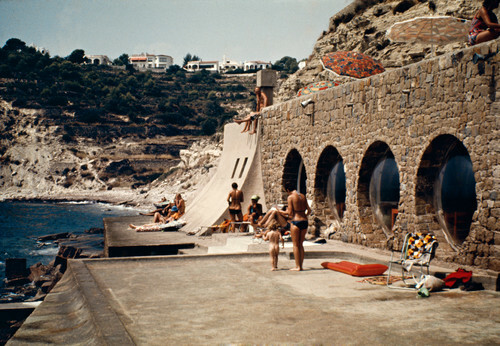 There comes a time for every architect to think outside the box, and with that in mind, Ricardo Bofill Taller de Arquitectura went all in on a very boxy project. 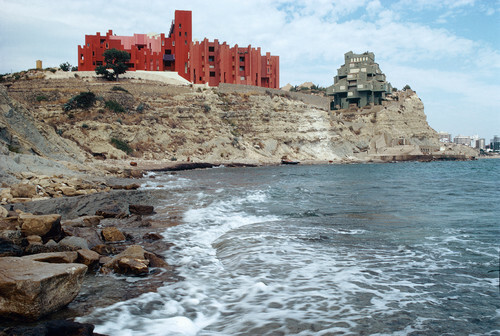 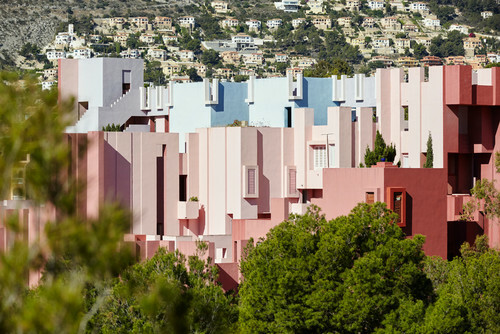 These apartment blocks of a development called La Manzanera, located outside Alicante in Spain, turned out like magical candy piles taken from a dream. 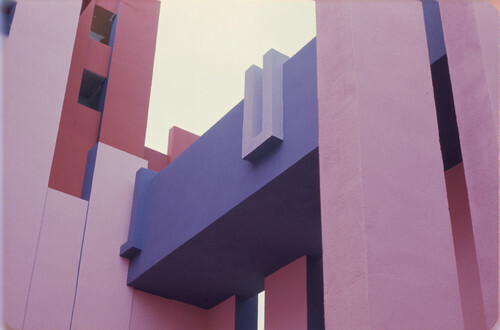 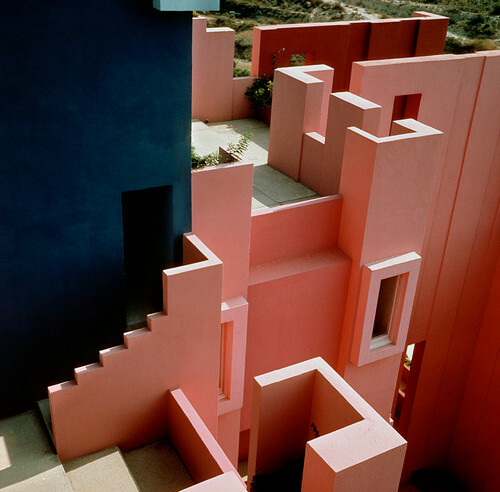 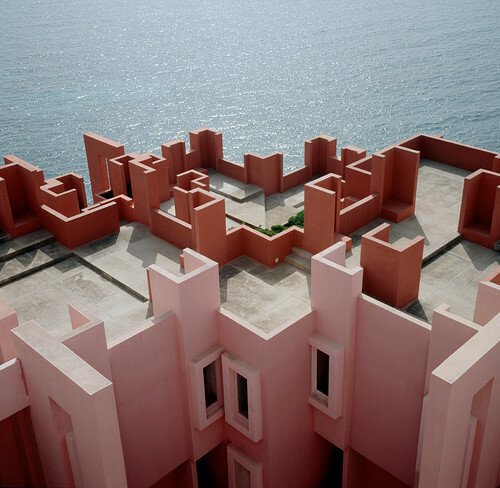 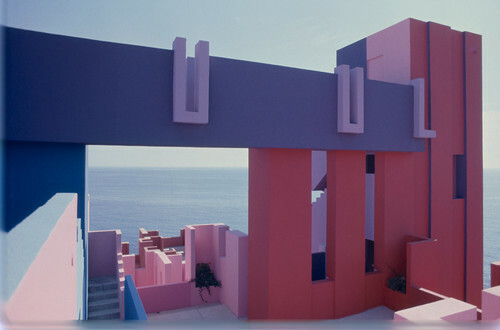 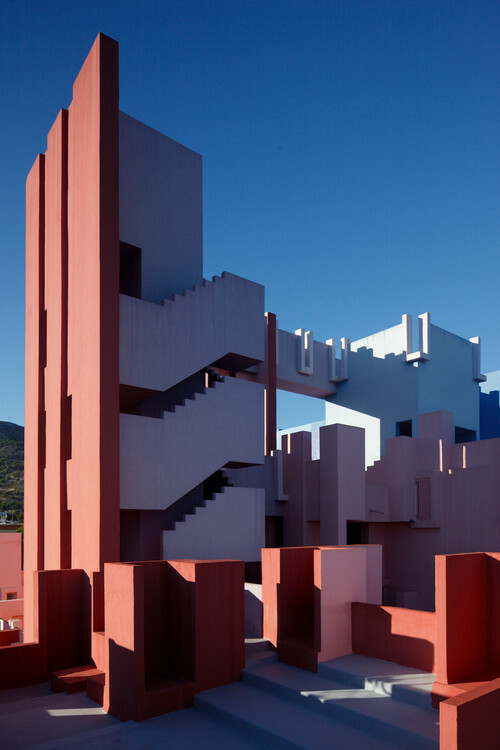 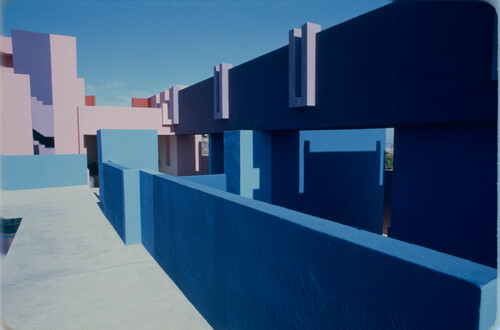 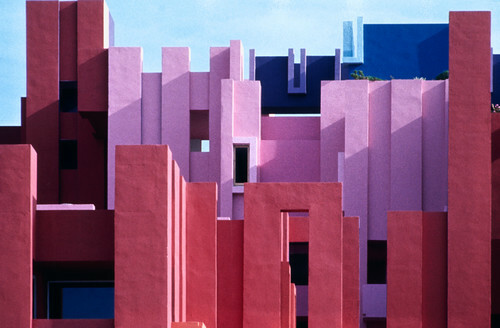 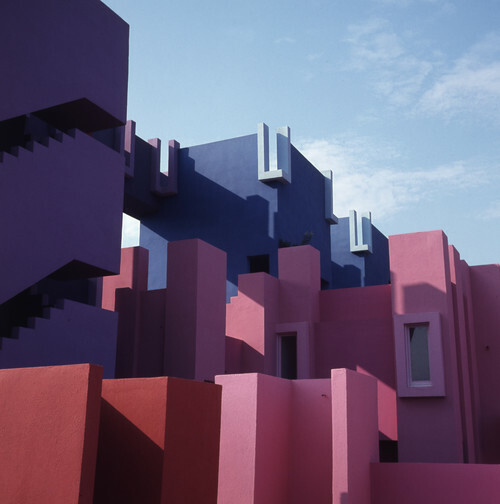 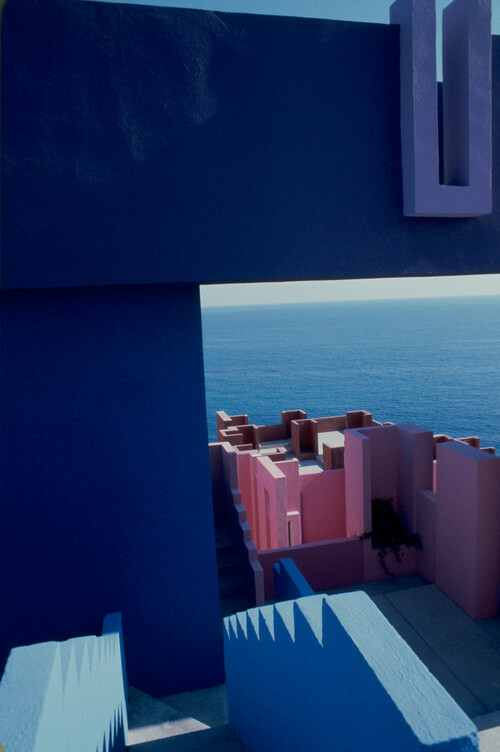 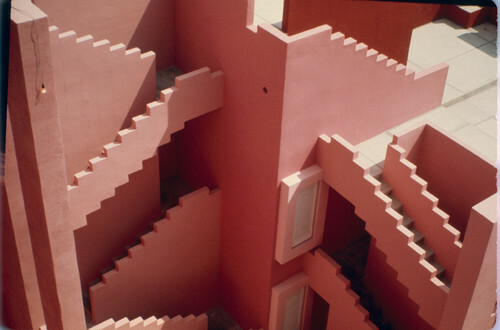 In this article we’ll take a look at the famous star of the project: La Muralla Roja. 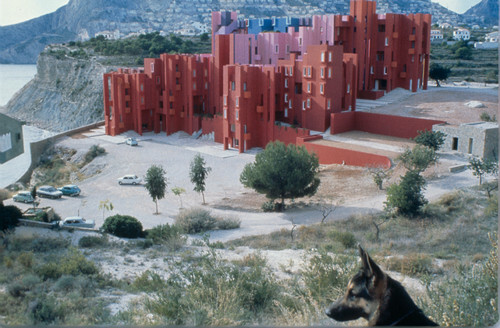 Being a very photo friendly building it’s a popular motif in the social media of architecture, and although being built in 1968, it never ceases to amaze. 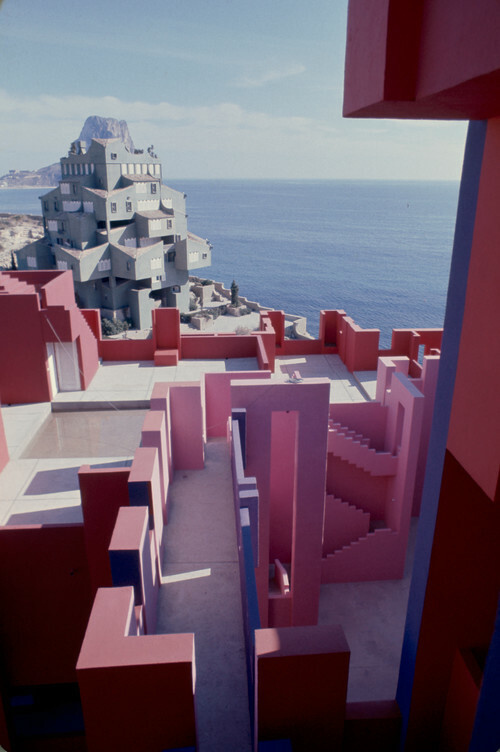 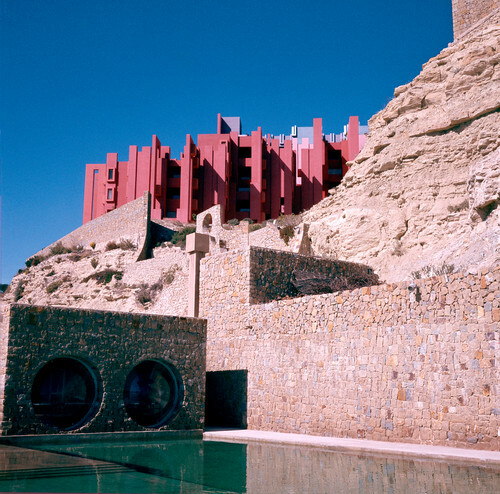 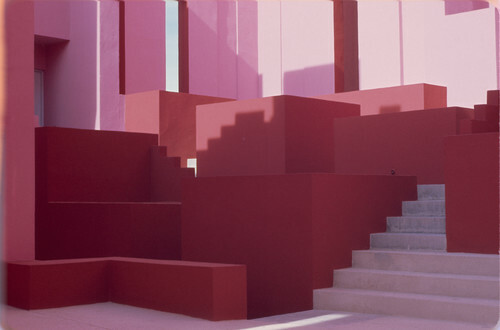 La Muralla Roja, meaning The Red Wall in Spanish, has a fortress-like structure creating a clear barrier between the outside world and the residential space within the walls. 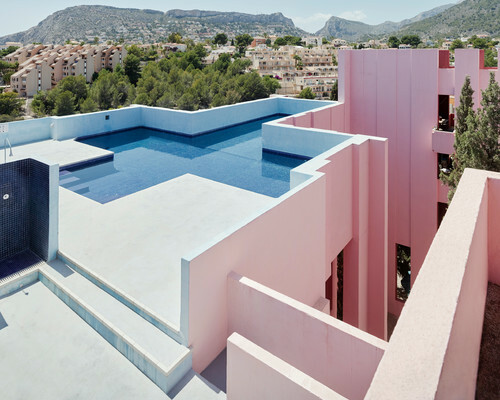 The roof top pool and inner courtyards offer calm spots for the residents of the fifty existing apartments. 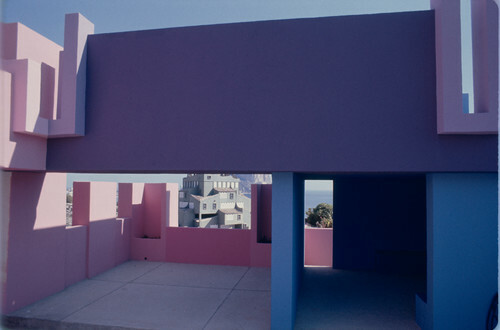 Although being mostly famous for its pink and red nuances, the building actually features big parts of blue and violet, mostly visible from within. 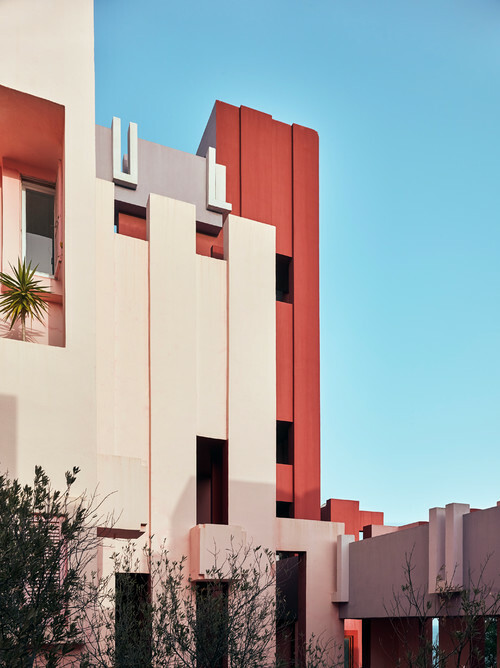 In Architerior’s next article we’ll take a closer look at the little green neighbor, Xanadú, which despite its smaller size and less colourful appearance has a lot to brag about. 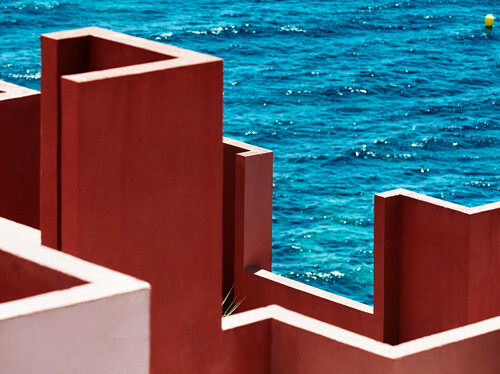 Check it out next week! 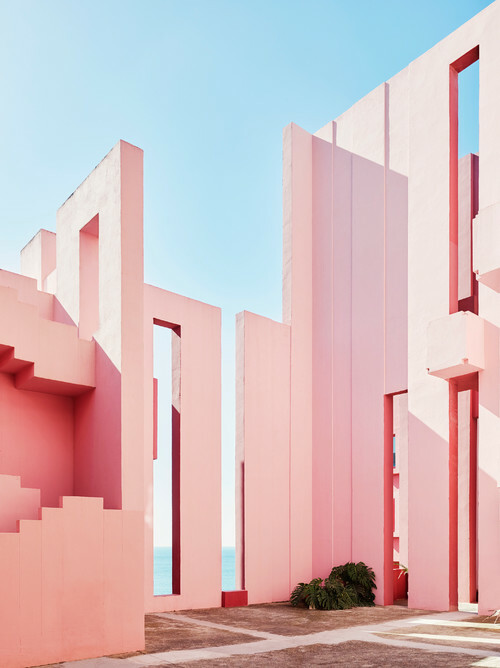 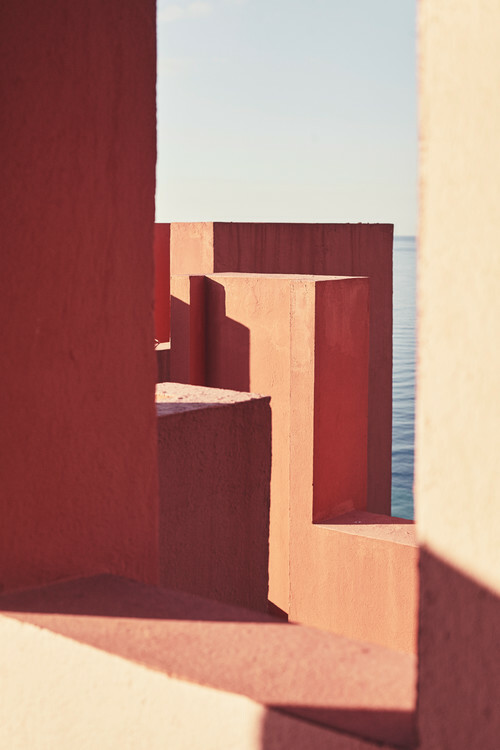 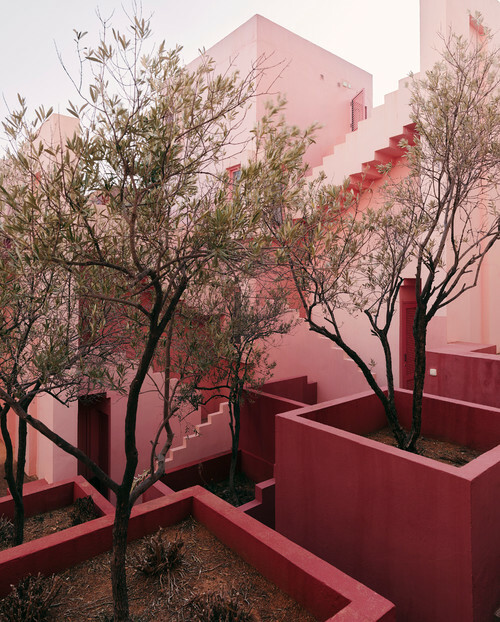 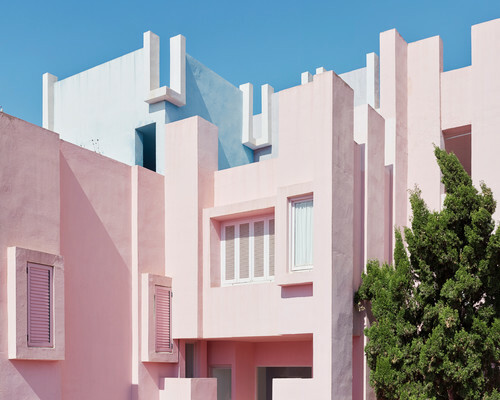 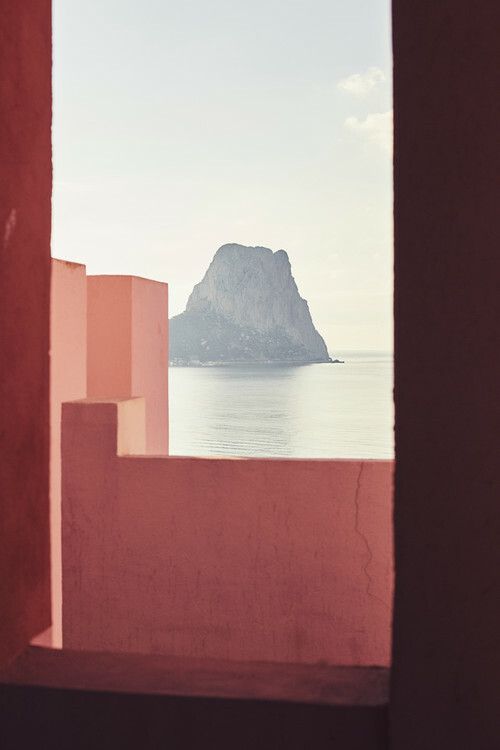 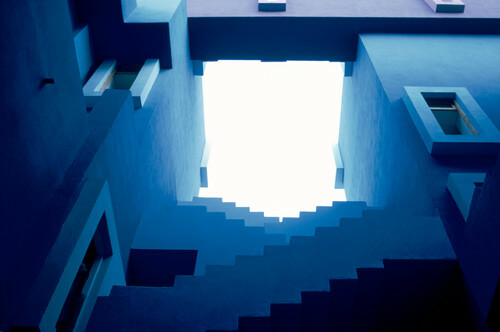 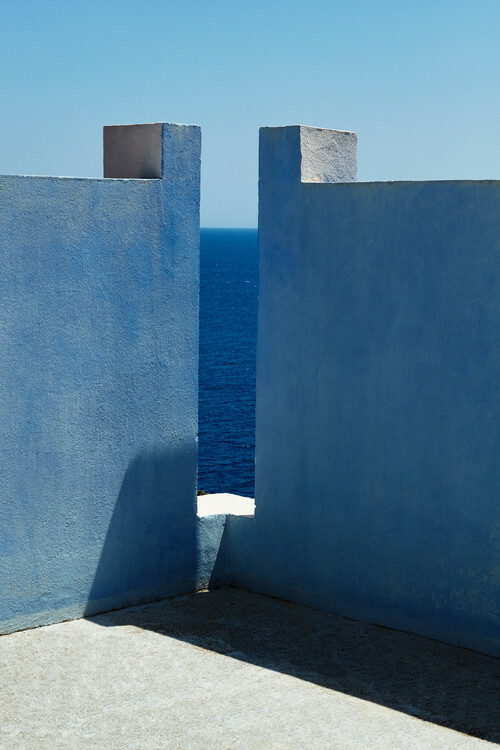 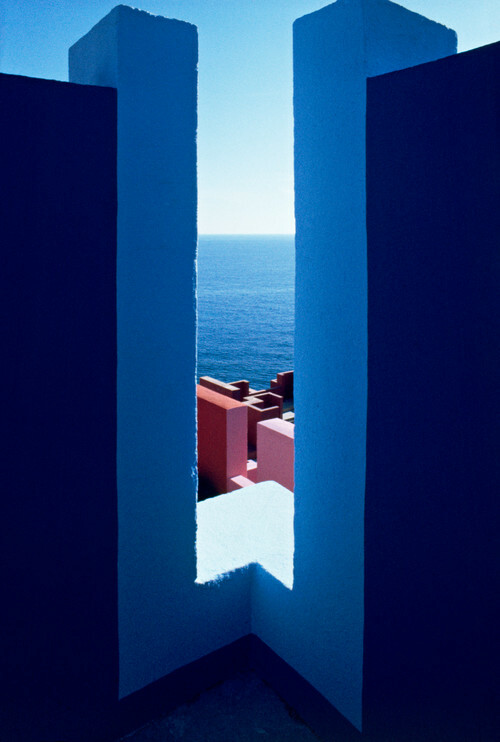 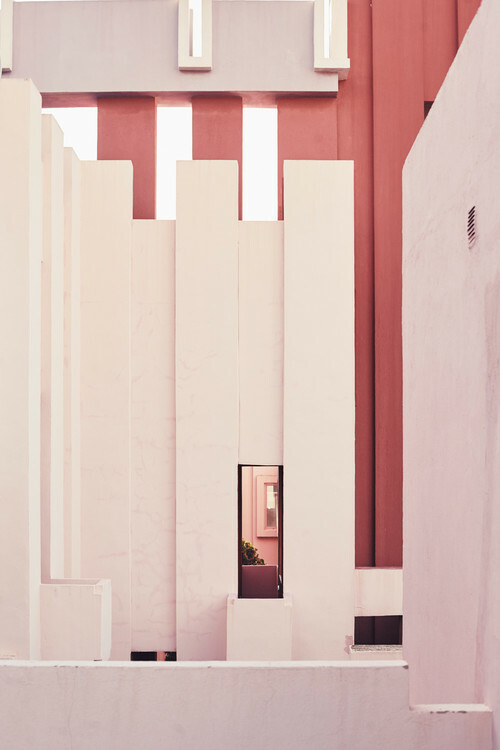 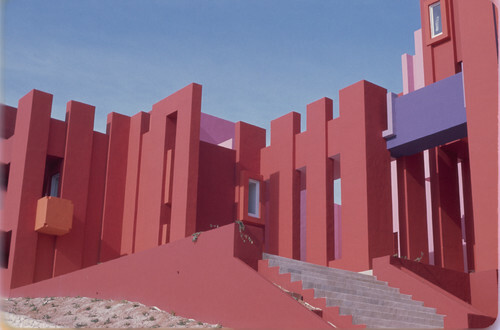 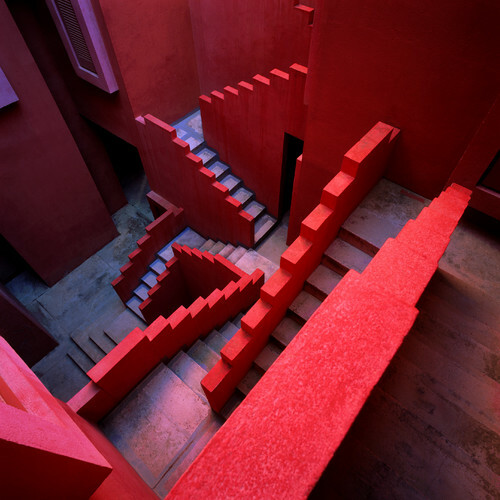 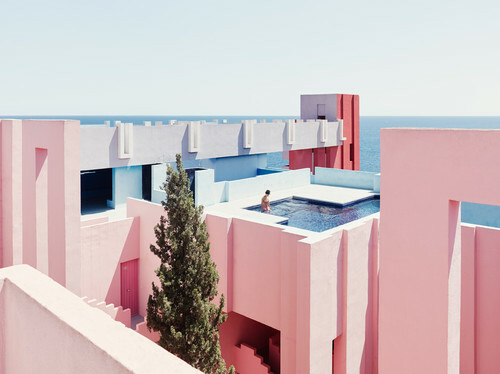 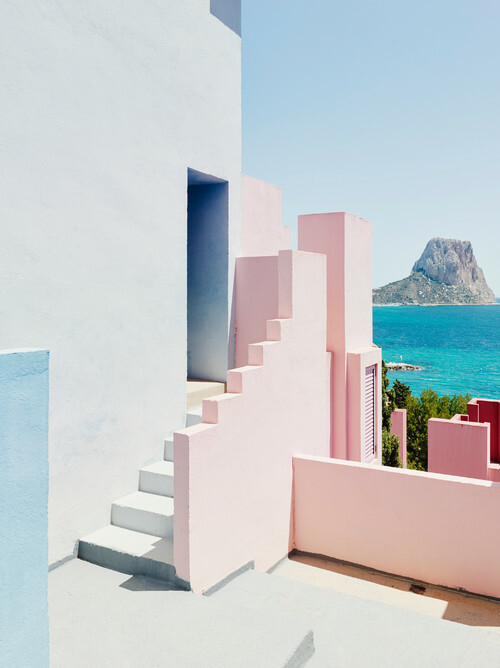 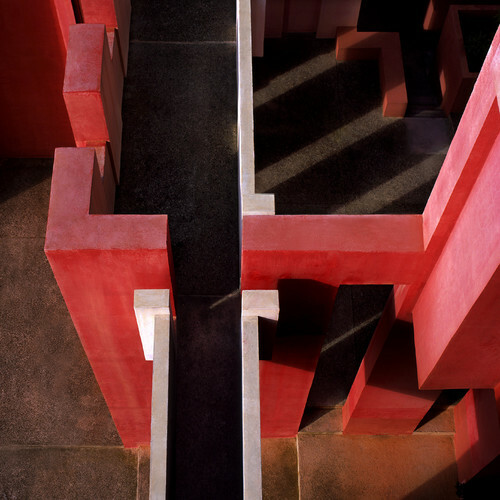 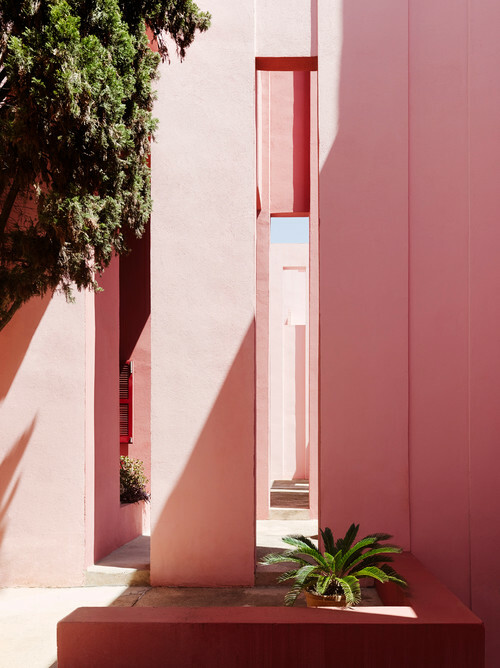 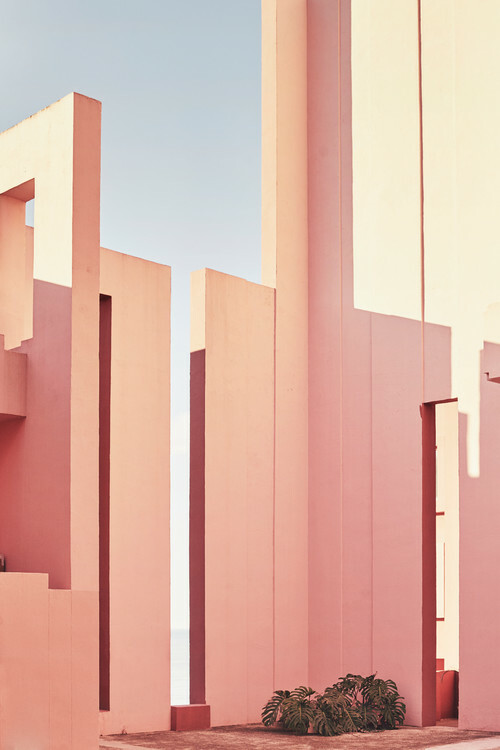 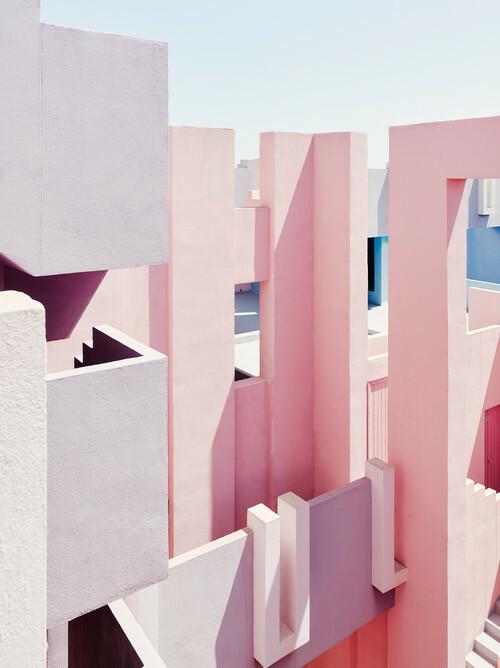 But now, sit back and enjoy these breathtaking images of La Muralla Roja!